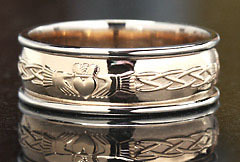 My clients in Australia liked the Celtic eternal knot band, which happens to be a recessed knot. We decided to reverse the design and do a raised knot. 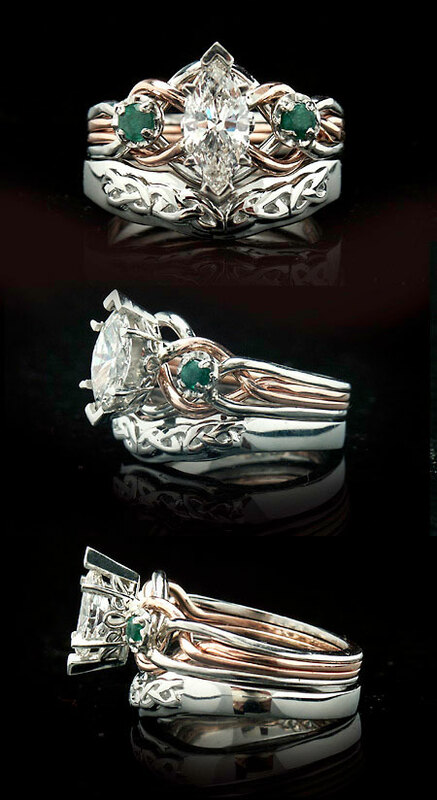 Here’s the shadow band with the marquise diamond, Celtic knotwork-inspired puzzle ring with accent emeralds. 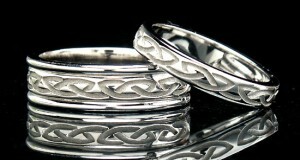 Notice the center front treatment of the knotwork. What we have here is two separate knots in a mirror image, meeting up at center front. This design was fairly wide, so we decided not to do the design all the way around the band, so the band could be a lighter, more comfortable weight and width for wearing. View details of this set. 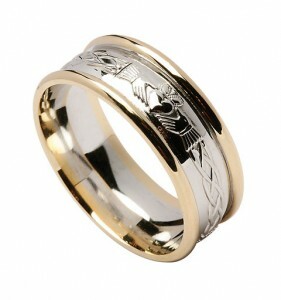 For D’s band, the most important thing is for it to be sized correctly to go with her puzzle engagement ring. 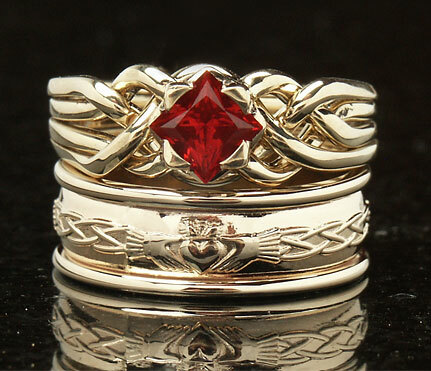 Below is a light weight claddagh band with trim with a 0.79CT lab-created ruby.